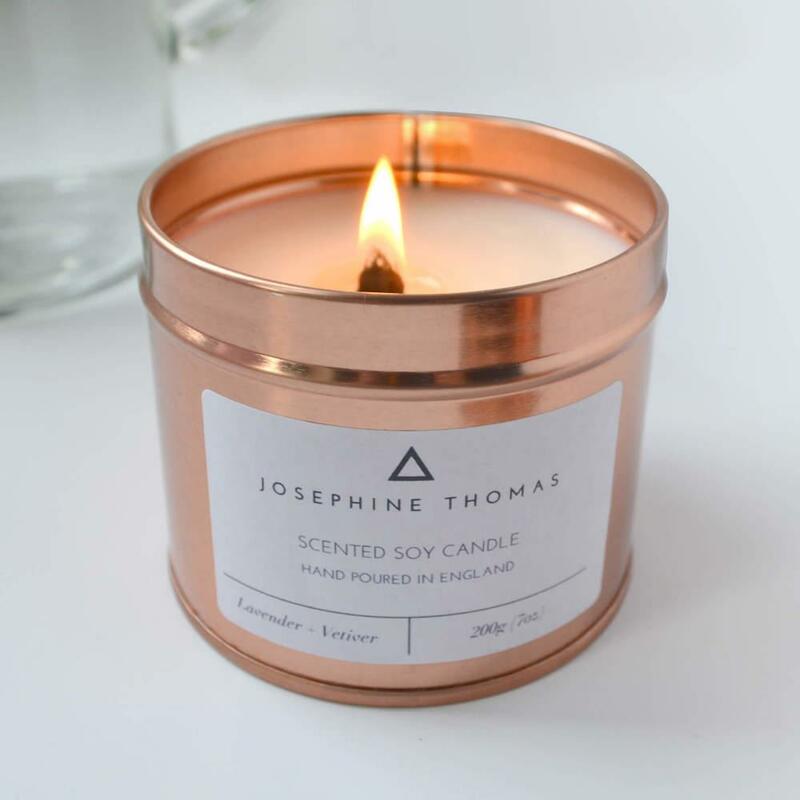 Contemporary rose gold tin candle handmade in the UK using natural soy wax, pure essential oils and finished with a 100% organic cotton wick. 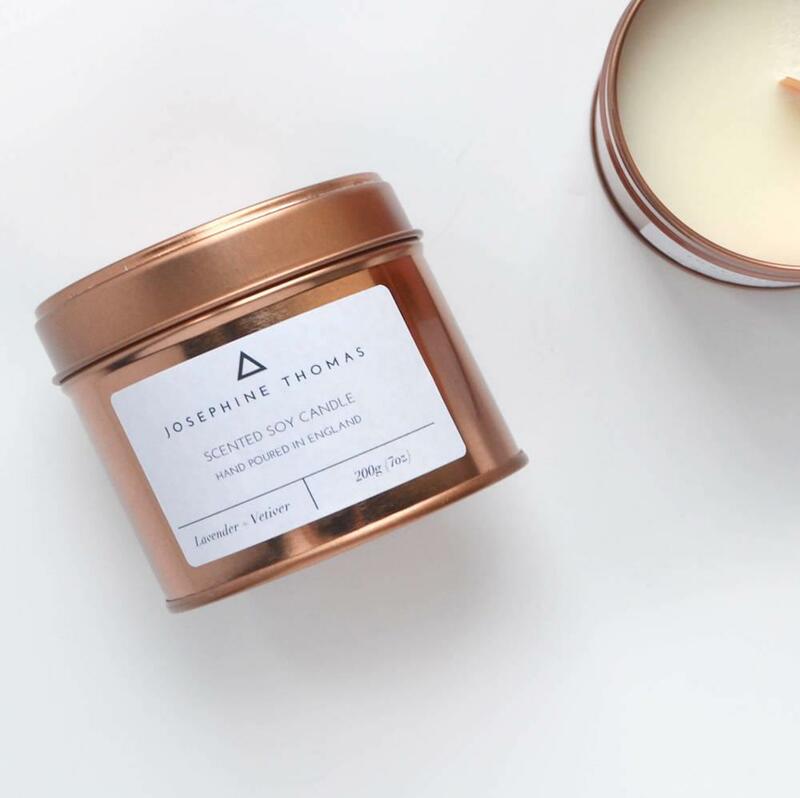 Pine, Bergamot + Cedarwood - Relaxing and rich. Amber & Sandalwood - Warm & woody. Eucalyptus + Lemongrass - Refreshing and uplifting. Lavender + Vetiver - Calm and soothing. Nutmeg + Ginger - Balancing and empowering. Sweet Orange, Cinnamon + Frankincense - Festive cheer! 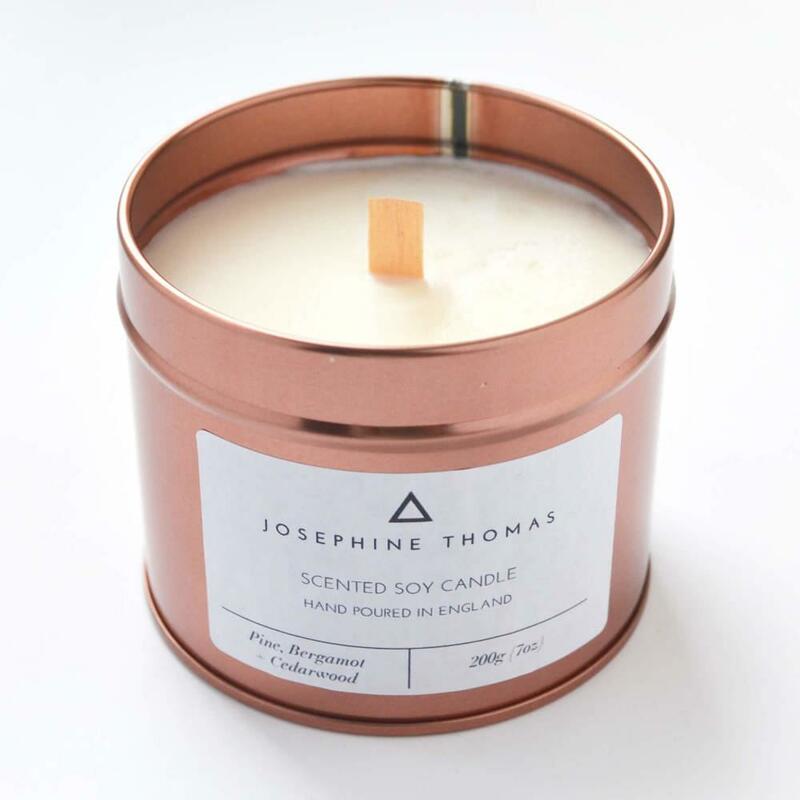 Each candle is hand poured in the UK with an organic cotton wick and topped with a lid. 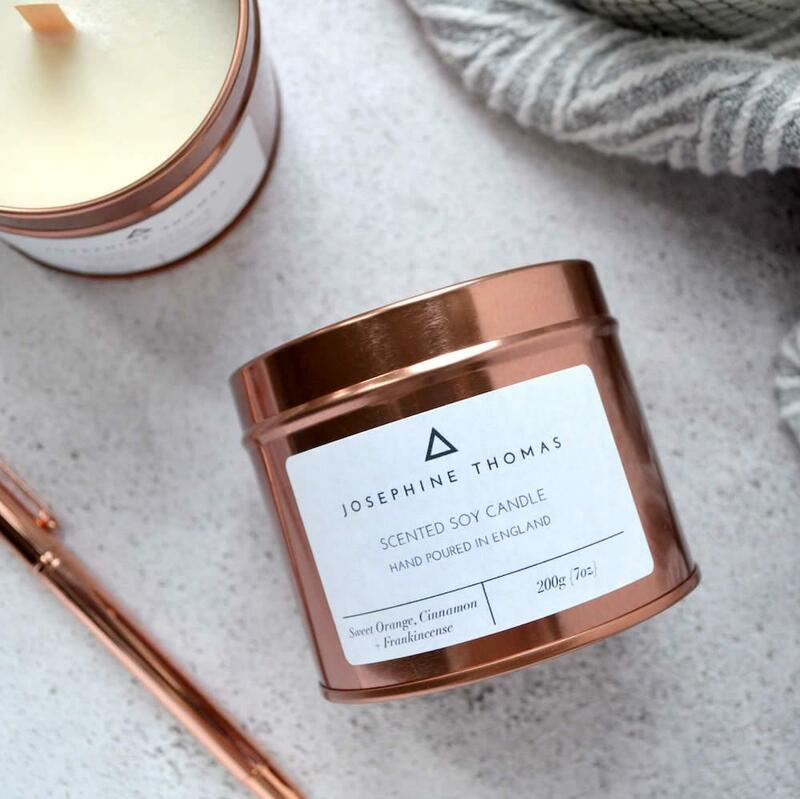 The simple minimal design with a luxury finish, make these zero waste candles fit into any style of home, making them the perfect ethical gift. Size - 200ml (approx burn time - 30 hours). 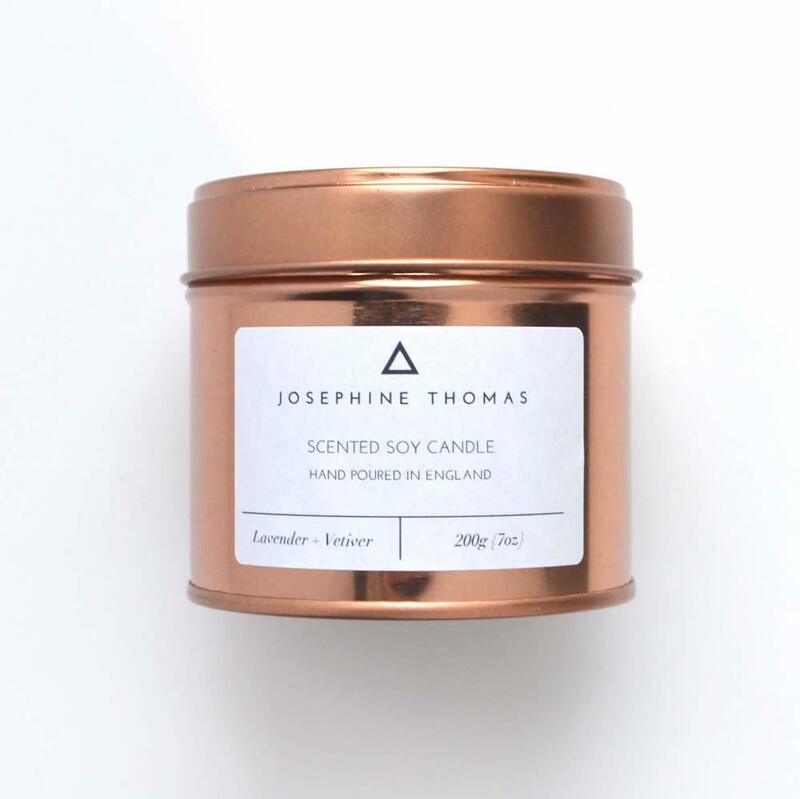 Ingredients - 100% certified natural soy wax. 100% pure essential oils. Materials - 100% organic cotton wick. Packaging: Re-usable metal tin. Biodegradable label. Product Packaging - Reusable metal tin & biodegradable label. 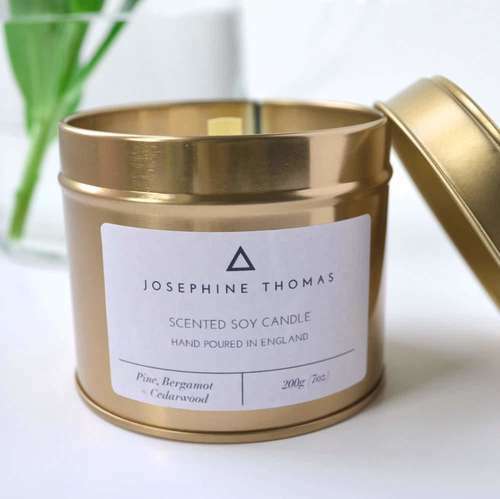 Josephine Thomas is a design-led brand which believes in making high quality candles in small batches using sustainable materials. As an independent brand they want to ensure that every item they make is individual and unique to you and brings joy to your life. 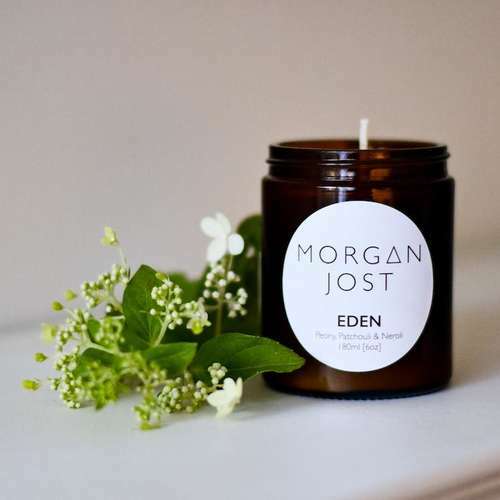 The environment holds great importance for the brand, alongside using eco-conscious and non toxic ingredients whilst keep their packaging minimal and plastic-free wherever possible. Postage Packaging - Eco friendly recycled paper packaging and cardboard box.